Breguet - What's your take on the Breguet 7727, please? What's your take on the Breguet 7727, please? The 7727 came out 4 years ago, winning the GPHG 2014 Aiguille d'or. It has a 10hz movement with magnetic pivots and twin silicon escape wheels. At 42mm and 10mm thick, it's quite wearable. 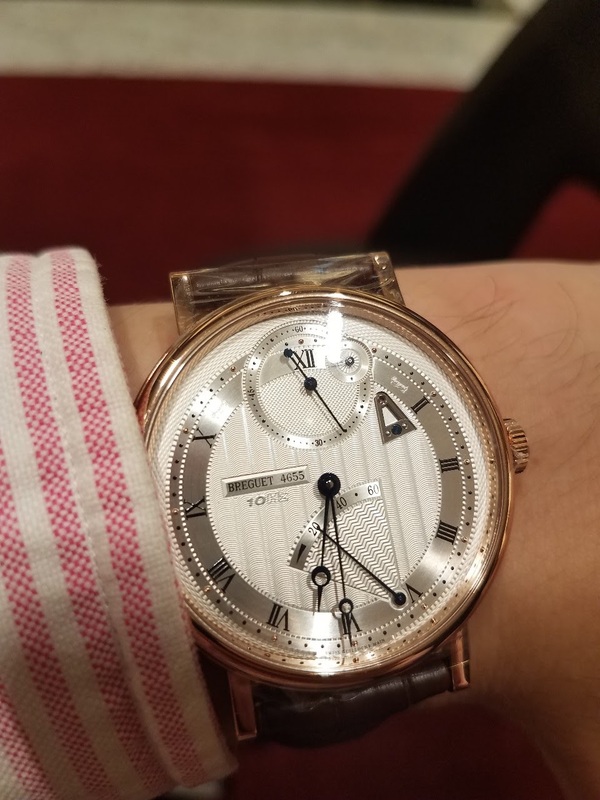 Breguet has announced a new movement design featuring a continuously circulating escape wheel, which I am unfairly calling a Breguet spring drive, due in 5 years or so. While I have my own ideas, I would be happy to hear your take on this watch, the 7727. Please share your opinions and why you feel the way you do. Thanks! Another option is the 7147, a classic design with lovely guilloche, particularly at the small seconds. At 40mm and 8mm, I feel like it would also make a good choice, what do you think? Your vote of confidence is big with me! Tour de force is a good day way to describe it! Yes, the 10hz on the dial is a deal killer for many! I get that the original A.L.Breguet was an innovator so they are trying to have a taste of that. What do you think of the idea of a Breguet spring drive? Higher frequency and accuracy, I imagine. See the hodinkee interview with the Breguet CEO for details, such as they are. 21600 or 18000BPH are my favs. 7727 - a true innovation! No other manufacturer is offering a magnetic bearing for the balance wheel, hence this watch is offering a lot of modern watch making. I would be vey proud to own it. The 7147 is a classic dress watch. The 7727 is a technological tour de force. The most important element of a watch for me is the aesthetic and the 7727 dial is slightly marred with the unnecessary script. Thanks for your comment, eklektik. Hi, looks like I miswrote, it's officially 41mm. I have the watch now and it's delightful. It is borderline big for me but I am also considering it. I really like the creative thinking behind the watch mechanism. Wear in good health. This watch is innovative and Breguet would be proud of it ! I think AL Breguet would be happy with this watch, too! 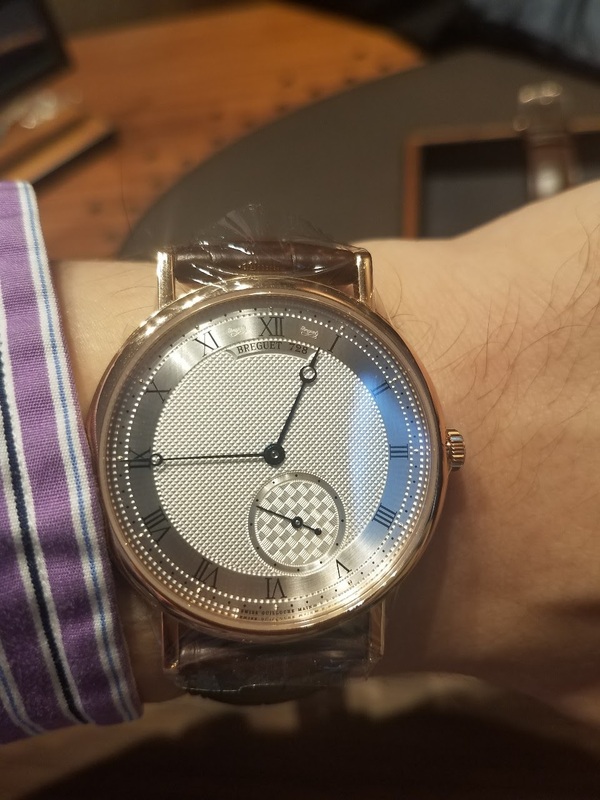 The 10hz is definitely a challenge to people's ideas of Breguet, intentionally reminding people that modern innovation is part of the package. I do wonder how it will age! Did they ever sell that red version? I don't know if the red print version ever went beyond a prototype.